Bienvenue a Day #6 of French Chocolate Week. 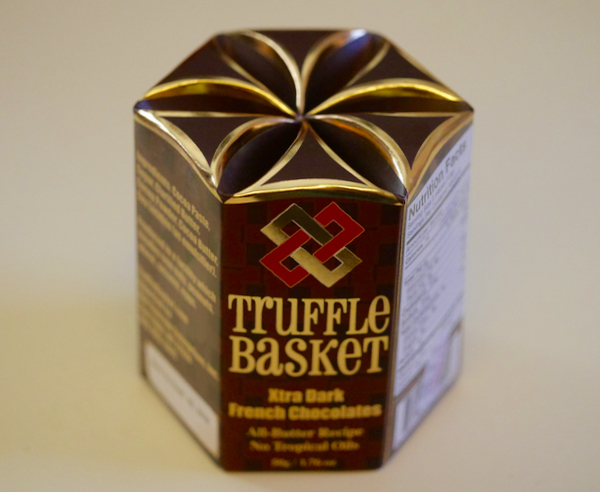 Today's Xtra Dark French Chocolates were from Truffle Basket. 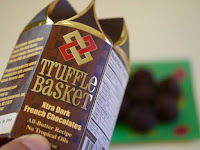 These truffles were a "Product of France" and imported into the U.S. by Bon Courage Enterprises, Inc. (Four Oaks, NC). 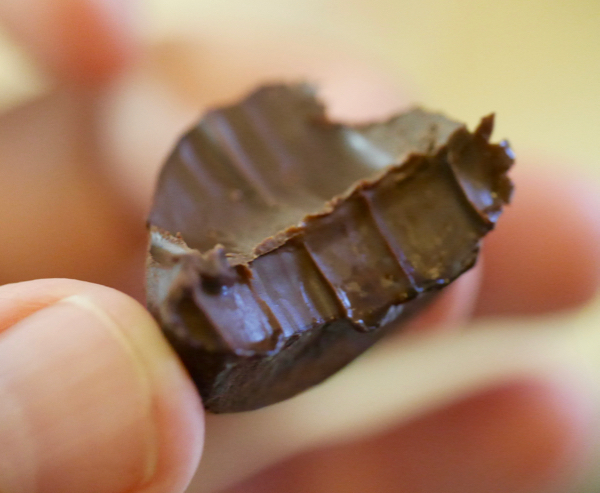 These small, dark truffles had a dark chocolate aroma with notes of citrus and coffee. These truffles were GMO free with no tropical oils or trans fats. 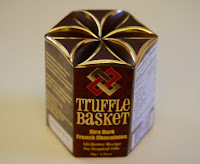 The attractive packaging was designed to look a bit like a wicker basket ("used to hold the other kind of truffle (the prized fungi that grows in the ground)").